Call now for a free air conditioning quote. Are YOU sick and tired of being let down by unreliable and careless tradesmen? 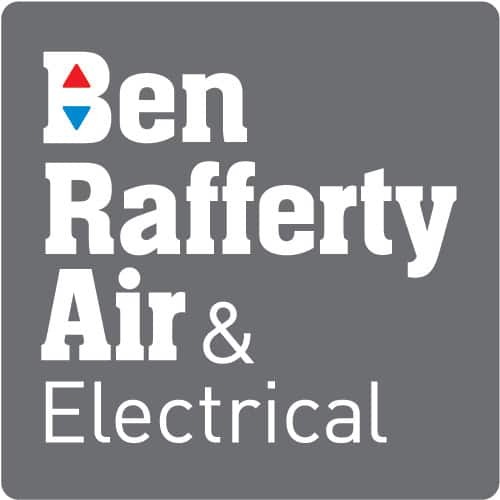 Welcome to Ben Rafferty Air and Electrical, a refreshingly reliable and dedicated air conditioning company. 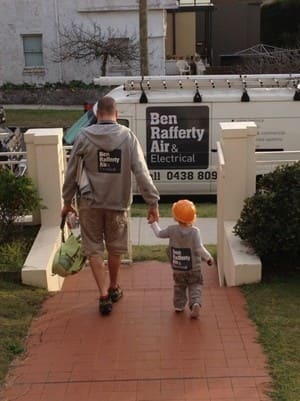 Welcome to Ben Rafferty Air and Electrical, a refreshingly reliable and dedicated air conditioning company servicing Sydney. 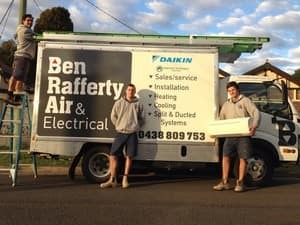 Ben Rafferty Air and Electrical is a quality provider of electrical and air conditioning services in the Eastern suburbs and Inner west, New South Wales. We specialise primarily in home air conditioning and also have extensive experience in commercial projects. Our services include all work on split and ducted air conditioning systems and all heating and cooling work. Free quotes and fully licensed, builders welcome. 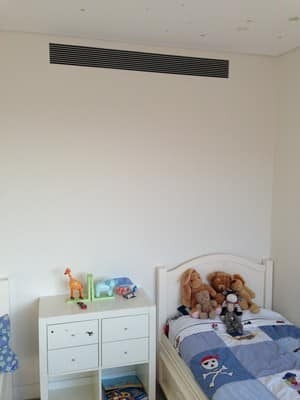 In 2017, the wonderful team at Ben Rafferty, installed some air cons at my mothers house. It has been a lovely cool summer. I highly recommend Ben Rafferty air and electrical, for all your air con needs. The guys are always on time, reliable, trustworthy and friendly. We have recently had issues with nasty neighbours and the beautiful team at Ben Rafferty, have reassured me and advised me on what to do. I’m ever so thankful to Jane and Matt, for helping me with this process. It was a daunting one but thanks to Jane & Matt, I have nothing to worry about. They turn up when they say they will; and do the job efficiently, correct to order, and at the agreed price. We had Mason service our air conditioner. Throughly professional and personable. Highly recommended. We contacted Ben Rafferty Air after reading all the positive comments on this and other websites.. And we were not disappointed. From first contact, the Ben Rafferty Air team were helpful, proficient, efficient, and courteous. Andy arrived as scheduled and provided great information and suggestions. Contact from Jane in the office was very timely, keeping us across the schedule. And the 3 young men who did the installation arrived on time, worked so hard all day, and cleaned up after themselves brilliantly. Whilst this was only a household installation of two machines, there was a lot of electrical work to do to get the connection placed down the side of the house, approximately 20 metres. And it was a hot day - over 35C. We are so very happy with the result. Many thanks to all members of the team for their excellent work, expertise, and professional manner. We would definitely recommend Ben Rafferty Air to all.